From the depths of the grave, destiny reaches out. Through all of the trauma, a twisted understanding of gender, depression, mental illness, multiple suicide attempts, and a prognosis of certain death, a voice is heard from heaven. After all have given up hope, the Creator Himself reaches down from His dwelling place and does the thing He does best, Restoration! 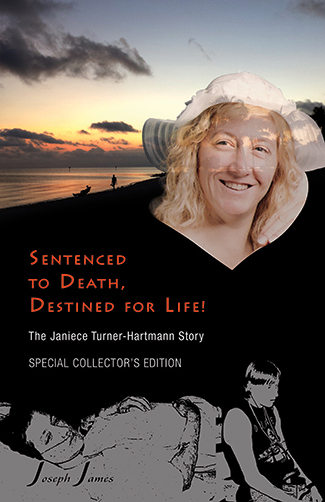 Janiece Turner had been through years of pain and misery. She was tired and she just wanted it to be all over, finished. The voices inside of her head would not leave her alone. Now, she was getting her wish. Soon it would be all over, but it would not be the way she had expected. The doctors said that the myelin sheathing around the nerves in her brain were dying and this was causing her brain cells to die. At the time, they called it Demyelinating Syndrome. They had asked her family if there was a place that she could stay comfortably until she died because the mental hospitals could not help her anymore and they were so expensive. She was put into her oldest sister’s caregiving home for the terminally ill. The family was told not to tell her she was dying for fear that this time she would be successful in taking her life. But this day was different. It was not like all the other days before. This day was special because it was the fulfillment of a promise from a long time ago. This was the day that death would be sentenced and life would begin to blossom. Something was different this time though. Something had changed. These same words that brought condemnation before, now broke through all of the confusion and hopelessness. She thought, “No! No, I don’t want to be sick forever!” She reached down to put the cigarette out, but her sister had already gone back inside. The above has been a small snapshot of the book we are writing about Janiece’s life. Our plan is to have the book published by the end of February 2011. You can read about more of her story and the progression of the book on this blog. I have also posted a poem I wrote about her, “My Rose,” that will be included in the book. We are taking time away from our business to write this book. If you would like to help support us in the project, we have set up a couple of ways for now. 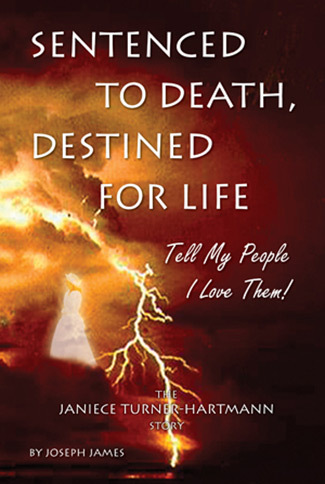 One is to buy my first book, “Destiny Path Of Life: The Journey Begins,” and the second way is to give a donation through our e-commerce site BeneficialZone.com. We will be offering pre-orders of the book in the near future after we have more of an idea on the cost of printing and will offer a special collection to those who choose to take advantage of this offer. Janiece is available to share her story, as the Lord directs with groups and families. If you would like to contact us in regards to booking, please use the Contact Form on this website and include any necessary information so that we will be able to respond to you. If you know Janiece, and have a story to add or a comment, please do so in the comment area or use the Contact Form. It is our hope and desire that this book inspires many to dare to search beyond their opinions and beliefs and start the journey of a life changing adventure with their loving, heavenly Father.